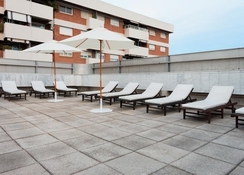 The Senator Barcelona Spa Hotel offers 4-star accommodation located in Les Corts in Barcelona. It is close to many of the main attractions in the city including the old town, Camp Nou, Tibidabo Amusement Park and the Picasso Museum. 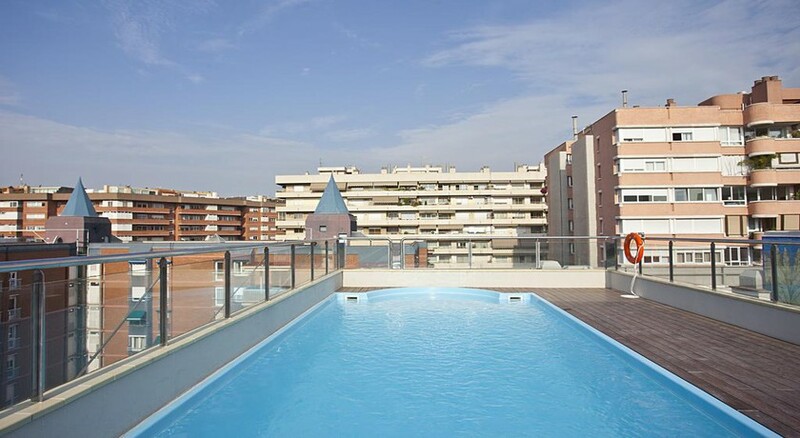 Las Ramblas is just over 4 miles away from the property while the El Prat airport is 7.3 miles away. 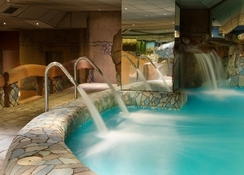 For those who like to pamper, the on-site spa provides a range of treatments such as Turkish baths, hot tubs, Roman and Indian baths, ice caves and a sauna - while you can also enjoy massages and other beauty treatments available. Gastronomy wise, there is an on-site restaurant and bar. The Senator Barcelona Spa Hotel is great for couples and families who want a relaxing base to explore the rest of the city. You will find the Senator Barcelona Spa Hotel just 550 yards from the Camp Nou which is home to Barcelona FC. It’s an excellent place to stay if you’re in the city to catch a game or even tour the club museum. Many of the other main attractions in the city are close by. This includes the Tidibado Amusement Park (3.1 miles), Picasso Museum (3.5 miles), Plaza Reial (3.2 miles) and the Barcelona Cathedral (4.4 miles). The El Prat International Airport is 5.9 miles away and it is only 750 yards from the nearest metro station which provides direct access to the airport. There are six different rooms types on offer at this hotel. 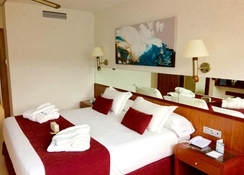 King Size Double Rooms can sleep two people and for couples there are also options of a Double Room, Executive Double Room and Superior Double Room that offers more space. The triple room option can sleep up to three people while the family room has room for four guests. 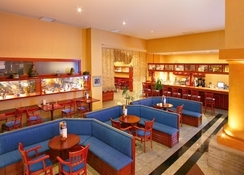 All rooms come with Wi-Fi, flat screen TV, tea/coffee making facilities and air conditioning. The hotel offers a buffet breakfast every morning and there is also an on-site restaurant (Com Sempre) and piano bar ideal for relaxing in. You can also find local bars and restaurants in the area around the hotel while the close proximity to the metro station means that you have easy access to the rest of the city. The on-site spa provides a wide range of treatments and relaxing therapies to ensure you are recharged after a day sightseeing in Barcelona. The Camp Nou is just a short walk away where you can see Barcelona FC play or visit the museum while there is a rooftop pool that is open in the summer months and provides stunning views of the city. The Tibidabo Amusement Park is only a few miles away as well.